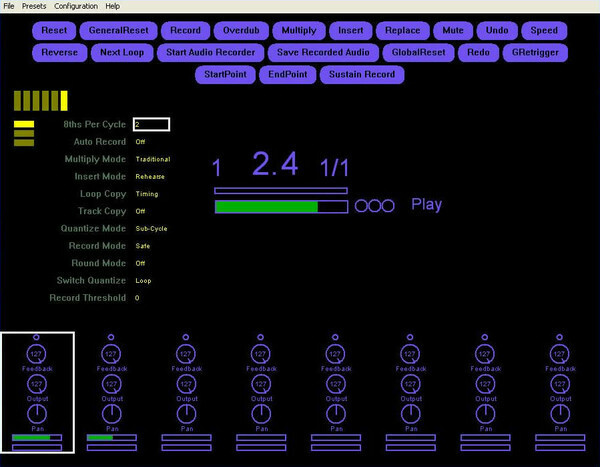 Mobius, Other Music Software from Circular Labs. Circular Labs has announced that version 1.43 of Mobius is now available. There are no major new features in this release, it was developed primarily during the writing of the new set of user's manuals so most of the changes were cosmetic name changes and reorganization of the user interface. 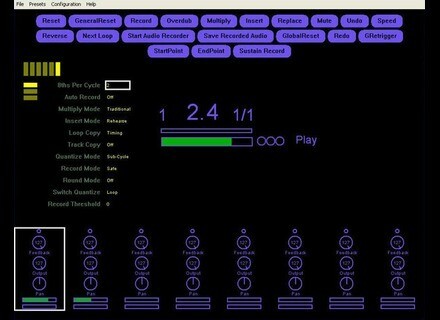 The most interesting new feature in 1.43 is support for OSC with built-in support for the TouchOSC iPod/iTouch application. This is still an experimental feature that has to be configured in XML. This release contains small changes and improvements. Some of the old EDP preset parameters have been removed and some have been replaced with more flexible parameters. Lots of names have been changed to make them clearer and more consistent. "Interface Mode" and "Insert Mode" parameters have been removed. "Alt Feedback Enable" checkbox replaces InterfaceMode=Expert. No more "Record Mode" parameter, now we have "Record Resets Feedback". No more "Overdub Mode", now we have "Overdub Quantized". No more "Sampler Style", now have "Switch Location", "Switch Duration", and several other new parameters. [NAMM] Muse Research Receptor 2+ Muse Research & Development has announced that its RECEPTOR 2 line of Hardware Plug-in Players has been upgraded.